From Amsterdam to Basel and everywhere in between, romance is alive and well on the Rhine River. As you cruise its shores and explore its treasures, you’re sure to fall in love with a landscape you didn’t believe could truly exist. 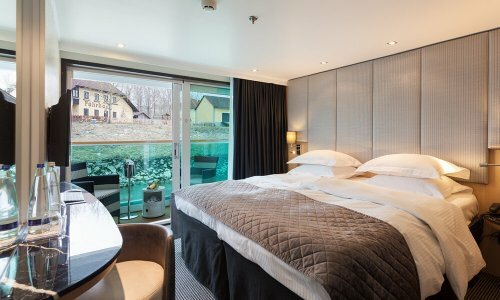 Embark on a Go Next-chartered all-inclusive, credit card-free luxury river cruise aboard the state-of-the-art Scenic Opal. 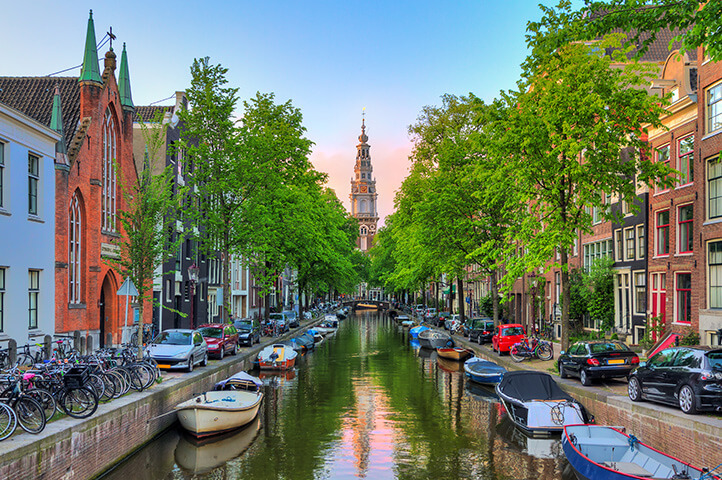 Journey the famed canals of Amsterdam, capturing the postcard-perfect scenery. 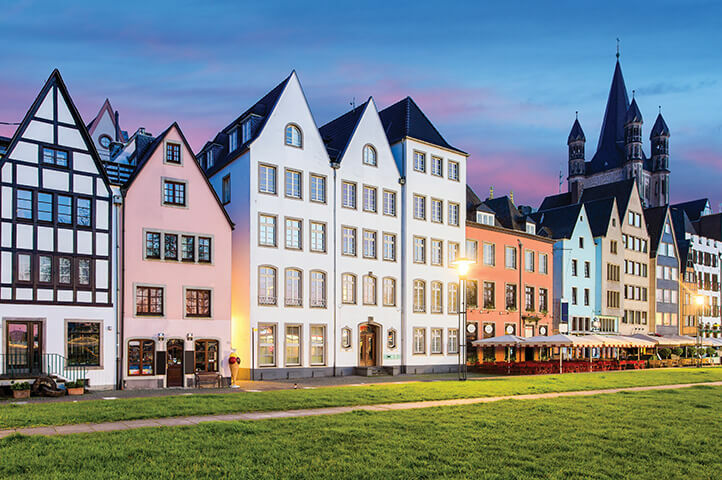 Nestle into old-world charm strolling through Cologne’s high Gothic architecture before touring one of the medieval gems, Koblenz or Cochem. Take pleasure in a private concert at a fine baroque palace. Lose yourself in the beauty of Baden-Baden, a historic spa-town and favored destination of the European elite. 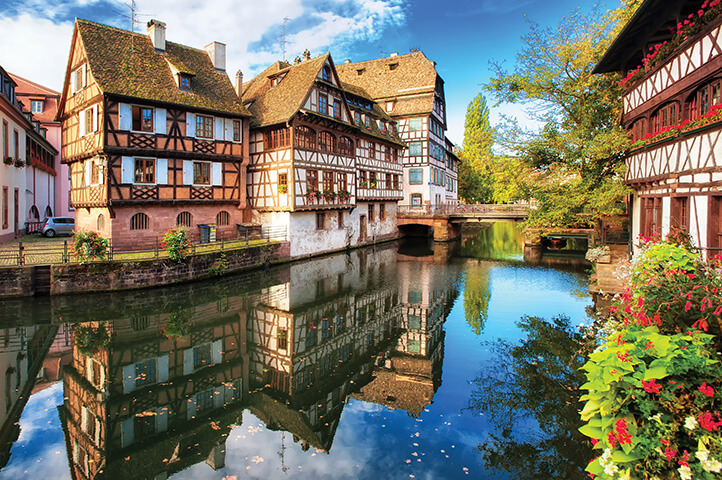 View the most important Renaissance artifacts north of the Alps on your way to discovering the architectural warmth and distinctive wine lounges of La Petite France. Enjoy all these ports and more as we travel with a meticulously planned itinerary, unforgettable shore excursions, all onboard drinks—beer, wine, and premium spirits—and dining included. 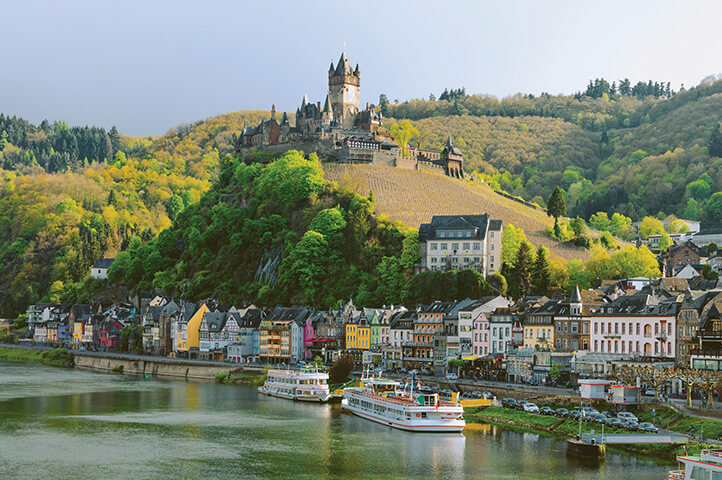 There is no better way to experience the Rhine River and immerse yourself in the history and culture that line its banks. 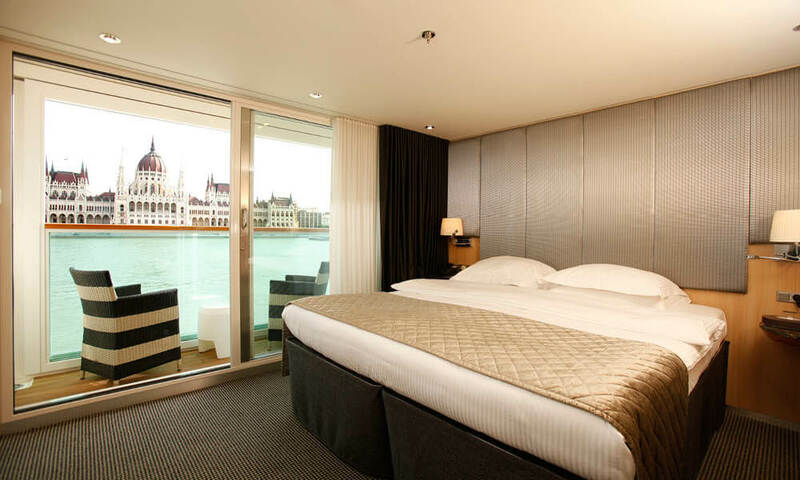 Located on the Jewel Deck with large picture windows to ensure a great view. 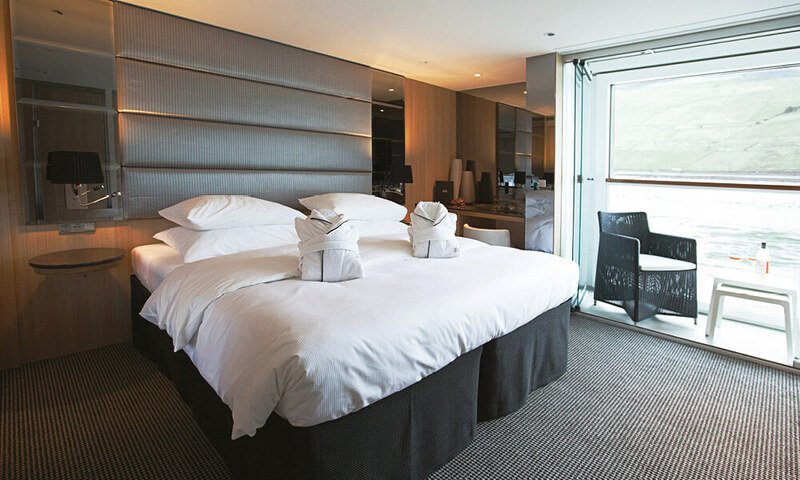 They have a spacious design and clever layout alongside all the usual luxurious amenities and furnishings. 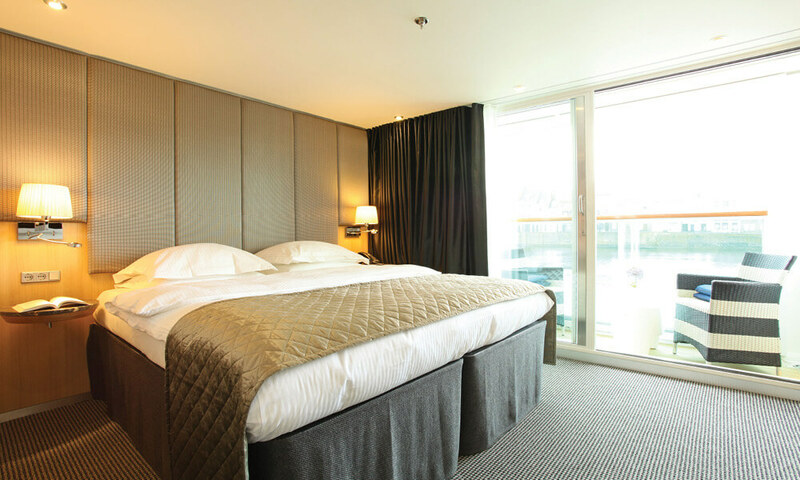 Located on Sapphire Deck these stylishly decorated suites feature a full-length outdoor balcony with the exclusive Scenic Sun Lounge and offer private bathrooms with a luxurious vanity basin and shower. 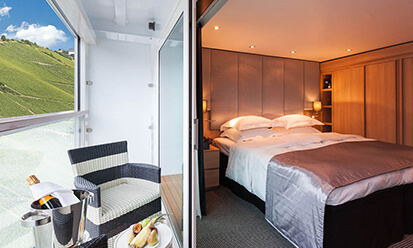 Located on Sapphire Deck these stylishly decorated suites feature a full-length outdoor balcony with the exclusive Scenic Sun Lounge system and offer private bathrooms with a luxurious vanity basin and shower. 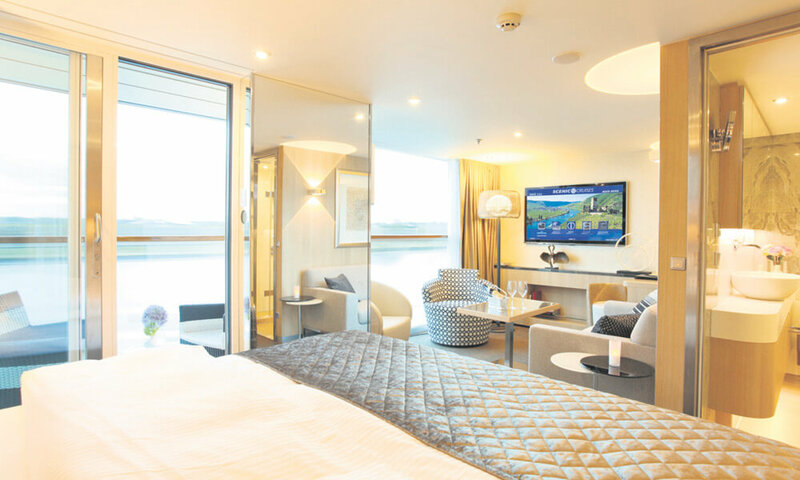 Located in prime locations at the front of the ship on Sapphire Deck, they offer all the features of our private Balcony Suites with our ingenious Scenic Sun Lounge, but with even more space to relax. 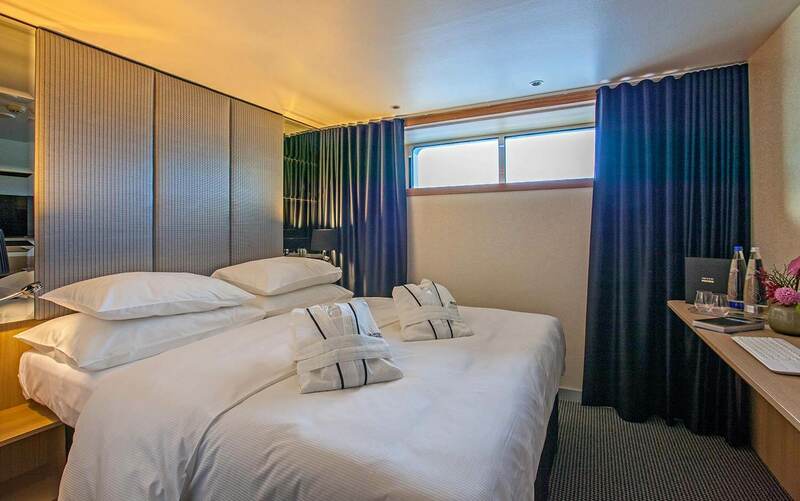 Located on the Diamond Deck these stylishly decorated suites feature a full-length outdoor balcony with the exclusive Scenic Sun Lounge and offer private bathrooms with a luxurious vanity basin and shower. Balcony Suite Located on the Diamond Deck these stylishly decorated suites feature a full-length outdoor balcony with the exclusive Scenic Sun Lounge and offer private bathrooms with a luxurious vanity basin and shower. 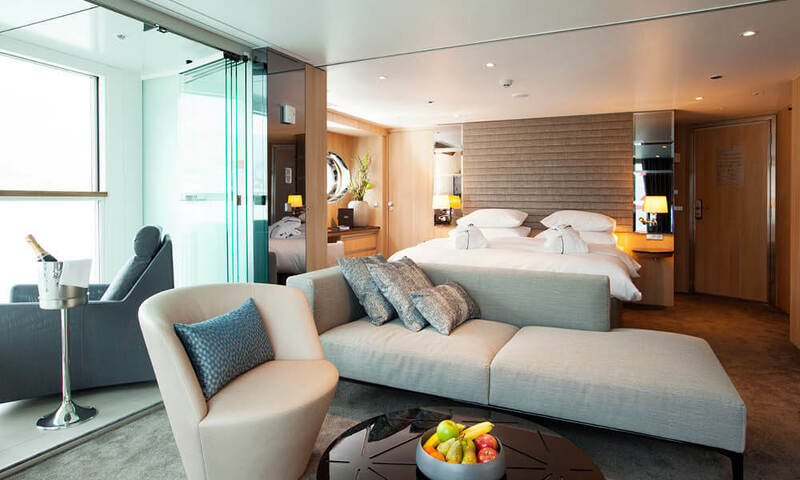 These spacious Suites, located on Sapphire Deck, have a private full-length balcony complete with a Scenic Sun Lounge and elegant en-suite bathrooms featuring a large vanity basin and shower. These spacious Suites, located on Diamond Deck, have a private full-length balcony complete with a Scenic Sun Lounge and elegant en-suite bathrooms featuring a large vanity basin and shower. 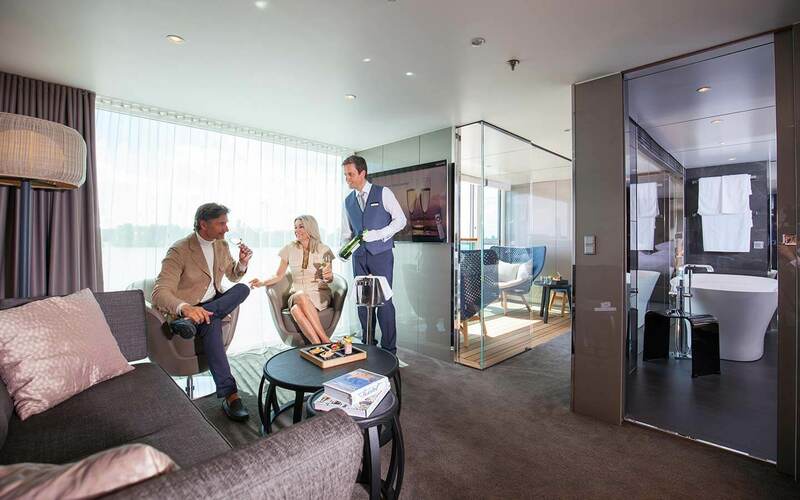 These Suites located on the Diamond Deck are the ultimate in luxury with more space, impeccable service, thoughtful touches, an outdoor balcony, lounge area and an oversized bathroom. 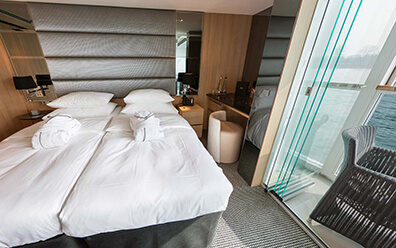 Located on the Sapphire deck this suite is perfect for the solo traveller. Enjoy fantastic views from your full size balcony complete with Scenic Sun Lounge. This cabin also includes an elegant bathroon with a luxurious vanity basin and shower. These 1-bedroom Suites are the ultimate in luxury with more space, impeccable service, thoughtful touches, an outdoor balcony, lounge area, and an oversized bathroom. 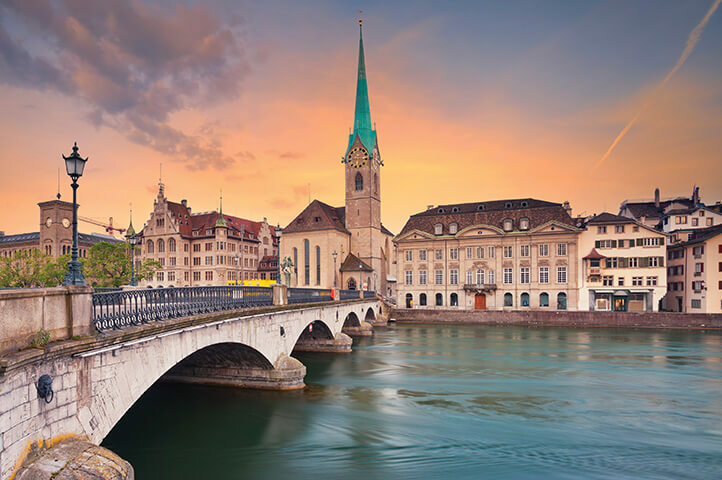 Discover the highlights of Amsterdam and Zurich that you might otherwise miss. These carefully crafted programs include ideally located hotels, specially arranged sightseeing tours featuring cultural and historical sites, professional guides, and exceptional concierge support from on-location Go Next Program Managers.